Originally Submitted to FurAffinity.net on October 31st, 2013 08:16 PM. Before it was transferred to Inkbunny it had 11 views and 0 favorites. 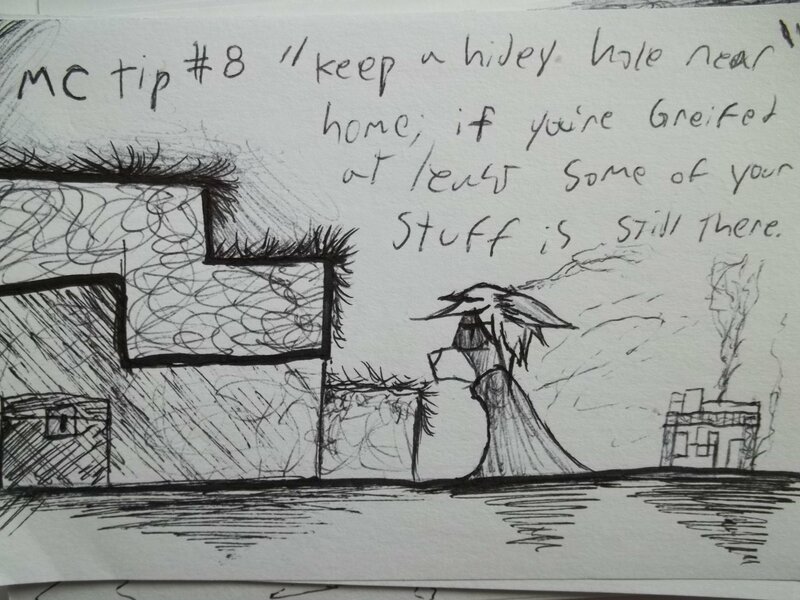 Keep a hidey hole near home, if you're greifed. At least some of your stuff is still there.